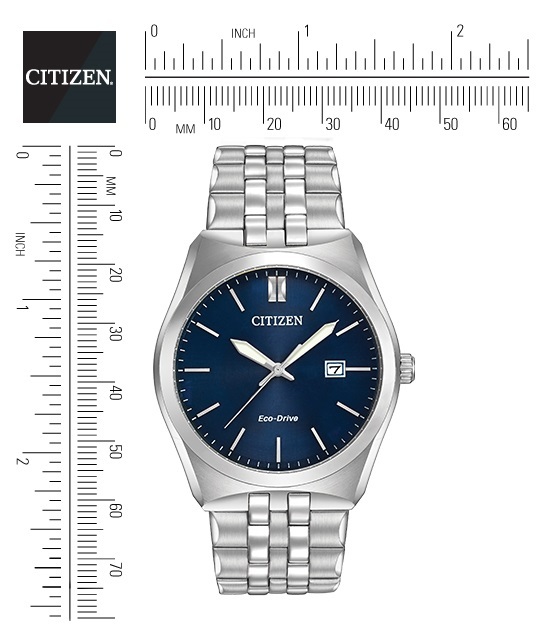 The handsome Citizen BM7330-59L watch is a stylish watch with clean lines and a quality finish. 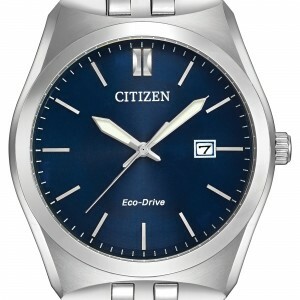 This model has scratch resistant glass covering an attractive blue dial with a date window in the 3 position. 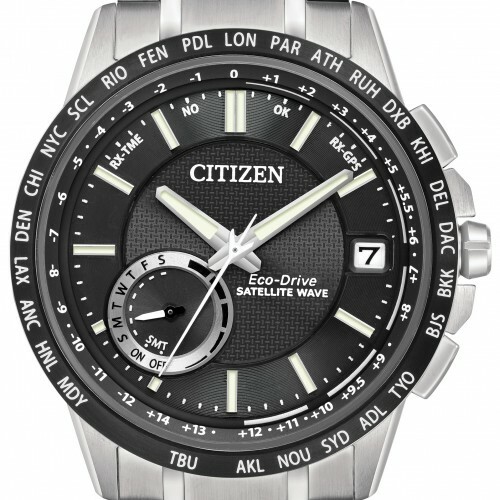 This Citizen BM7330-59L has a highly luminous dial which looks great in the dark. 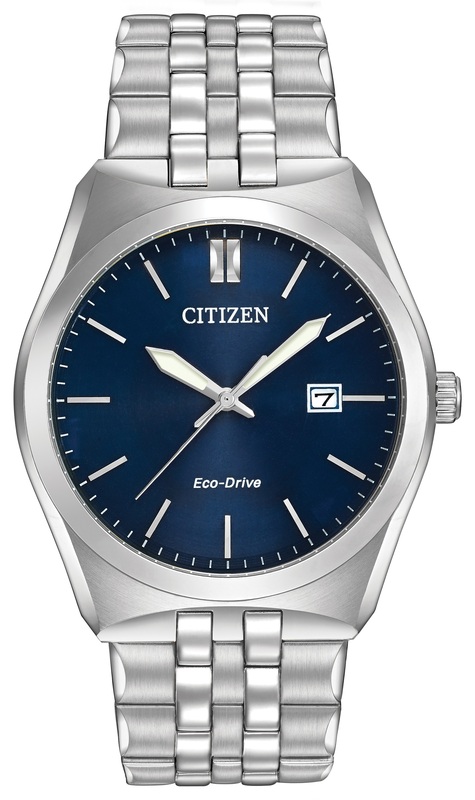 The dial itself has a solar cell completely invisible to the naked eye which powers this watch from indoor and outdoor light sources, making it a Citizen Eco-Drive model. 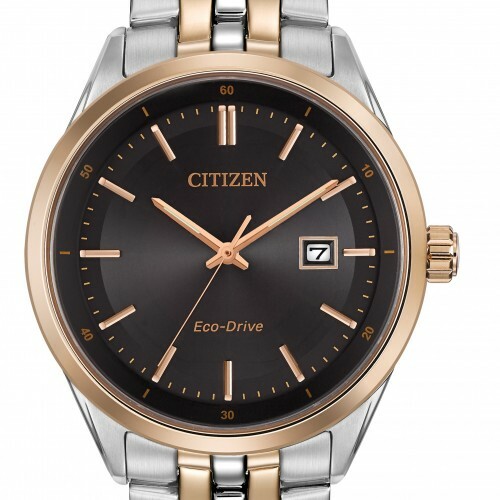 The case is high quality stainless steel and the bracelet has push button release.